Gary is punctual, friendly, polite and knows what he's doing. I am very happy with the service he provides. Very good crew. have used this company for a few years now. Always comes on time for appointments. Very friendly and knowledgeable about our home. We are very happy with your service. Your staff is very professional and polite. I will definitely recommend to our friends. We are incredibly happy with Rose, Marcus has been our technician since the beginning for our business and home. Also Dawn in the office is very very helpful! Very professional and knowledgeable. He also was very thorough,taking his time to explain what he was doing. Jeff is always very professional and does an excellent job. Knowledgeable professional. Addressed the problem. Jose is always prompt, if not early. Friendly, knowledgeable and efficient. excellent, was very happy with the service ...on time and very thorough. Rushed home to make 2:30 appt scheduled a week ago, only to have a phone message that said the technician was told the appt was at 12:30. Rescheduled but not happy about mix-up!! Jose was very polite and knowledgable. He was all business and went right to work. He was very professional. for years. Great service and results! Vance is a very capable technician. He always gets to the root of the problem. From my experience Rose, as a company, and the individual technicians are pleasant, informative, efficient, and effective. 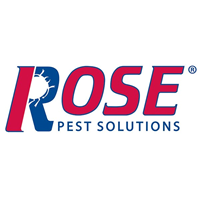 We have been using Rose Pest for over 10 years and have been very happy with the service. Gary Moore has been our technician for most of that time. I long ago requested that he always be our technician. He is thorough and professional but very personable. Excellent, individualized service. Did not insist on doing more than needed. Explained and showed what he had done. Just what I wanted. I have always been happy with our Rose service calls. Gary is the best: on time, polite, considerate of my home, and happy to answer any questions we might have. We remain highly satisfied customers. The man showed up on time. He gave me a detailed plan of action for his visit. I asked him to check an additional area and he did without hesitation. Great interaction. Positive experience-technician was polite, friendly, and efficient. Gary was very informative and helpful. Full of knowledge. Very pleased with Warren. Nice guy & did careful job. Friendly service person, and within one year i can see the difference from our prior service Orkin. Very prompt! Arrived as scheduled,very friendly. Fully answered our questions. Covered all areas thourghtly and was carefull in areas where fragile items were present. Rose Pest Solutions came out quickly, listened to our problem, inspected inside and out and sprayed inside and out. We are confident our issue will be taken care of. Lance is also nice to work with. Always courteous and efficient!! Been using this wonderful local family business for years and always feel they are the best!!! John arrived on time and immediately got to work to figure out our problem and to solve it. Warren was very polite and very professional. He asked good questions and was very thorough. He was also very personable and nice. Gary was very knowledgeable and professional. He was able to quickly find the very large yellow jacket nest and apply the treatment. Lance was very helpful. He checked all the places I identified as problems and also sprayed for insects. Best service and price. Fantastic! I can actually enjoy my yard, and I don't need to worry about my grand children getting bitten up. They fixed our nasty silverfish problem. We are so grateful!